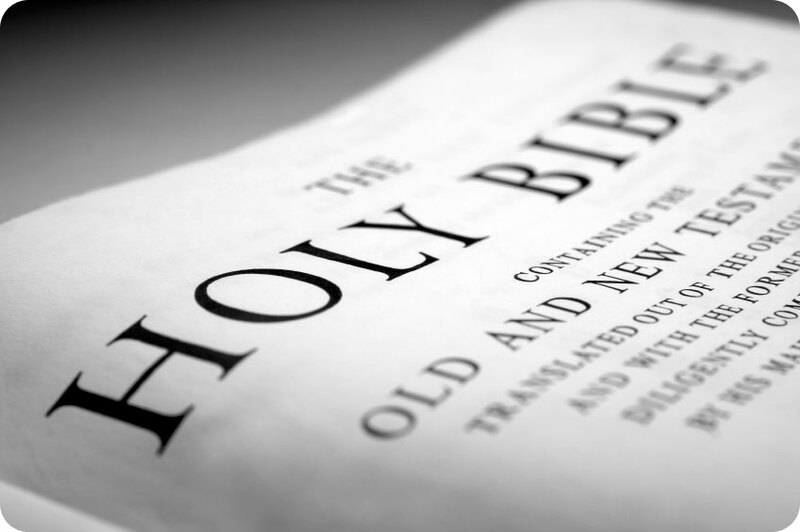 The Doctrine of God | Joe Quatrone, Jr.
Posted on July 11, 2014	by Pastor Joe Quatrone, Jr. If I were to ask you if you believed in God, I am confident almost all of you would respond in the affirmative. But if I were to follow that question up by asking you to describe God to me, to give me a list of His attributes or to speak to me about the essential qualities of His nature, the answers would not be as forthcoming. While most people claim to believe in God, they are not really sure who He is, what He is like, and how we can know these things about Him with certainty. As I sat down to write this message, it occurred to me the task before me was next to impossible. How do I say all I need to say about God? I cannot. So this is a disclaimer upfront. I can neither be exhaustive nor comprehensive in my treatment of this topic. Our purpose today is not to learn all there is to know about God, that would be impossible. Rather, my hope is to stir your heart and whet your appetite for more, so you will continue to study and learn more of these truths on your own. First, let’s consider who God is not. While most people claim to believe in God, it is clear they do not believe in the God revealed in Scripture. The question, then, should not be: “Do you believe in God?” The question should be: “In what god do you believe?” You see, when different people talk about God, they are not all speaking of the same person. Many well intentioned Christians are simply ignorant of this truth. For example, when the topic of Islam is raised, you will hear people say something like, “Well, we all worship the same God, don’t we?” The answer is unequivocally no. The God of Scripture is not Allah, worshiped by the Muslims. Christians and Muslims do not worship the same God. To say we do just because we use the same generic name for God is like saying all references to the name “Mike” must refer to the same person. The same is true of all the other gods worshiped by other religions. The God of the Bible is not the god of the Mormons; He is not the god of the Jehovah’s Witnesses; He is not the god of the New Agers; and the list could go on. While many people believe in a god, they do not all believe in the God who is revealed in Scripture. If we look just a little below the surface we can see who God is depends on who you ask. How, then, do we know who our God is and on what authority can we claim to found our beliefs? This brings us to our second consideration. Who is God and how can we know Him? Our theology about God is rooted and grounded solely in Scripture. We believe there is one and only one living and true God. He is an intelligent, spiritual, and personal Being. He is the Creator, Redeemer, Preserver, and Ruler of the universe. He is infinite in Holiness and all other perfections. He is all powerful and all knowing. To Him, we owe the highest love, reverence, and obedience. The eternal triune God reveals Himself to us as Father, Son, and Holy Spirit with distinct personal attributes, but without division of nature, essence, or being.This is a summation of our theology of God. Fundamental to our faith is the understanding that God has revealed Himself to us in Scripture. This is an important truth we need to be clear of. If we are not clear about where we get our knowledge of God, then whatever knowledge we have of Him will be suspect. The Scripture is the only certain word we have about God and it tells us that we are made in His image. This is important because when many people think about God, they try to think of Him in human terms. They try to think of Him in sentimental ways or understand Him through the lens of their personal experience, always trying to envision Him within the confines of how they would understand another human. But instead of understanding God within the confines of human personhood, we need to recognize that we are a finite and fallen replica of His infinite, divine, and perfect person. We are created in His image. He is the Creator; we are the creature. All we can ever know about God is what He has chosen to disclose to us in Scripture. What, then, does God reveal to us about Himself? In Part 2 of this article, we will look at 10 things God tells us about Himself in Scripture. This entry was posted in Topical and tagged Creator, Devotions, God, Holy Spirit, Jesus, Redeemer, Scripture, Theology, Trinity. Bookmark the permalink. I agree with you sometimes and sometimes disagree. If I only read things I agree with I don’t grow or get new ideas. Blessings. Thanks for commenting, Jo Bower. Please tell me where you agree and where you disagree. It is always good for our views to be challenged, motivating us to further search the Scriptures to make sure our beliefs are biblically sound. God bless! Please allow me to pose a few questions without the intent of gendering a debate, for that is truly not my purpose. So, by this Holy script we are shown that God is the Word, without difference. We understand that Jesus Christ is God’s only begotten son as Jesus declares in St. John 3:16. How then, can it be that in St. John 1:29-30, John was able to make this statement? 29	“Then next day John seeth Jesus coming unto him, and saith, behold the Lamb of God, which taketh away the sin of the world. 30	This is he of whom I said, After me cometh a man which is preferred before me; for he was before me. John is clearly making a statement to the personage of Jesus Christ but yet we know from scripture that John was born 6 months before Jesus. John isn’t pointing attention to Jesus’ divinity, he’s drawing attention to his person, God’s Lamb. 8	Phillip saith unto him, Lord, show us the Father, and it sufficeth us. 9	Jesus saith unto him, Have I been so long time with you , and yet hast thou not known me, Phillip? He that hath seen me hath seen the father; and how sayest thou then, Show us the Father? 18	No man hath seen God at any time; the only begotten Son, which is in the bosom of the Father, he hath declared Him. 6	For unto us a child is born, unto us a son is given: and the government shall be upon his shoulder: and his name shall be called Wonderful, Counsellor, The Mighty God, The Everlasting Father, The Prince of Peach. 11	I, even I, am the Lord; and beside me there is no savior. There is no separation of God’s divinity. All power, all glory and all God was flesh and walked among us as Jesus Christ. He was the Lamb slain from the foundations of the world so that you and I could be saved from our sin. There is only one God, not three, not two but One only and his name is Jesus. Thanks Alan. I was having trouble following your comment. What do you mean? Let me ask it this way, Who saves us, God or Jesus Christ? I understand, Alan. Scripture tells us Jesus died as the atoning sacrifice for our sins. Only by God’s grace may sinners be saved through repentant faith in Jesus (Acts 20:21; Ephesians 2:8-9). Jesus said, “I am the Way and the Truth and the Life. No one comes to the Father except through Me” (John 14:6). Jesus is the only access to the Father (John 1:1-2, 51; 3:13). Scripture affirms the sinless Jesus died on the cross to pay the punishment for believing sinners: “For the wages of sin is death, but the gift of God is eternal life in Christ Jesus our Lord” (Romans 6:23). What are your thoughts, Alan? To have FAITH is to believe without seeing.Man do believe when he sleeps he might never wakes up. Thank you, Pastor Joe! You’ve been faithful and clear. I was blessed by these words and would like to share them with you! You meant “bless” I hope, “bess” is something quite contrary. Thanks for the link, but I am having trouble opening the website on my computer. Is there anything specific you wanted to bring to my attention? The nature of God is one that so far surpasses humanity that in many cases all we are left with is our faith. You do a great job in pointing out several undeniable facts about our Creator and it seems some have raised some issues that are not easily dismissed. The triune nature of God for example. There is nothing else on earth that can give us a perfect example of this. We see hints of Trinitarian language throughout scripture and take it on faith that though it seems impossible to reason, our God is greater than our understanding. Furthermore, the New Testament makes it clear that our faith is dependent on all three persons of the trinity. We represent the image of God, the ultimate Creator. Sin however, distorted that image and so it took the work of one entirely God and entirely man to satisfy the guilt of our sins. Jesus was that propitiation. Finally, it is only through the Holy Spirit that we are able to daily rely on the sustenance of His power. Absolutely! Thanks for commenting. God bless! I am looking forward to what you are going to post next. Good writing and very encouraging. Thanks for commenting. Very true indeed! It is an interesting question: Who is your God? Different people will have different answers. Even when Christians of the same faith will have different perception of God. Yes, to me God is the GREAT I AM that is revealed in the SCRIPTURES! Absolutely Jeremy! “God is the GREAT I AM that is revealed in the SCRIPTURES!” God bless! I love to read your post. May God bless you in your ministry as you labour for him! Amen, this is good Pastor. looking forward too the follow up messages to this one. God Bless you. Thanks Gail! Here is the next article: https://joequatronejr.wordpress.com/2014/07/14/10-attributes-of-god. God bless! I agree both with you Pastor Joe and Eliza, to know God’s heart we need The Holy Spirit’s empowering. God’s inspired words are His Thoughts, His convictions , His guidelines we can’t understand them in the carnal flesh it must be put to death by The Spirit as we choose to turn away from evil and do good. Jesus warned the Pharisees about studying the Scriptures without Him, the fleshy worldly person or Natural, meaning without The Spirit cannot know the things of God, they are foolishness to them. 1 Corinthians 2:9-16 But as it is written, Eye hath not seen, nor ear heard, neither have entered into the heart of man, the things which God hath prepared for them that Love him. But God hath revealed them unto us by His Spirit: for the Spirit searcheth all things, yea, the deep things of God. For what man knoweth the things of a man, save the spirit of man which is in him? even so the things of God knoweth no man, but the Spirit of God. Now we have received, not the spirit of the world, but the Spirit which is of God; that we might know the things that are freely given to us of God. Which things also we speak, not in the words which man’s wisdom teacheth but which the Holy Ghost teacheth, comparing spiritual things with Spiritual. But the natural man receiveth not the things of the Spirit of God: for they are foolishness unto him: neither can he know them, because they are Spiritually discerned. But he that is Spiritual judgeth all things, yet he himself is judged of no man. For who hath known the Mind of the Lord, that he may instruct Him? but we have the Mind of Christ. Christian Love in our Unity Christ Jesus from both of us – Anne. Absolutely Anne! No one comes to the knowledge of the truth solely by good apologetics. The natural man does not accept the things of the Spirit because they are spiritually discerned and the Holy Spirit is the only one who can open the eyes of the spiritually blind. Yes I agree Pastor Joe as I’m sure you will agree too that God does not force us to accept The Holy Spirit so we can be changed, He does not go against our free will as some claim , like King David we ask … Change our Heart and make our thoughts acceptable. Thank you Pastor Joe for your prayers for Ron, he is still in pain but it’s not his heart , he saw his Doctor today and he said Ron has pulled a mussel in his back and it’s very swollen and so he has pain when he moves but I’m so thankful it was not his heart, Ron had a Triple Bypass 15 years ago so it was a worry. Wonderful news! I have been praying for Ron and you, as I knew you were feeling worried. “We know that in all things God works for the good of those who love Him, who have been called according to His purpose.” God bless! Looking forward to your next post on God’s attributes! Thanks! Here it is: https://joequatronejr.wordpress.com/2014/07/14/10-attributes-of-god. God bless! Pingback: Knowing God | Pastor Joe Quatrone, Jr.
Just read this. Love it!